Vatican City, Dec 3, 2017 / 04:30 am (CNA/EWTN News).- On Sunday Pope Francis kicked off the Church’s Advent season saying it is a time to let go of the worldly distractions that take us away from God, and focus on growing closer to him through prayer and concern for others. Pope Francis spoke to pilgrims present in St. Peter’s Square for his Angelus address, which took place on the first Sunday of Advent. Pope Francis then turned to the day’s first reading from the Book of Isaiah, in which the prophet described how for the people of Israel, it seemed that God had left them alone to wander on paths that were far from his own. 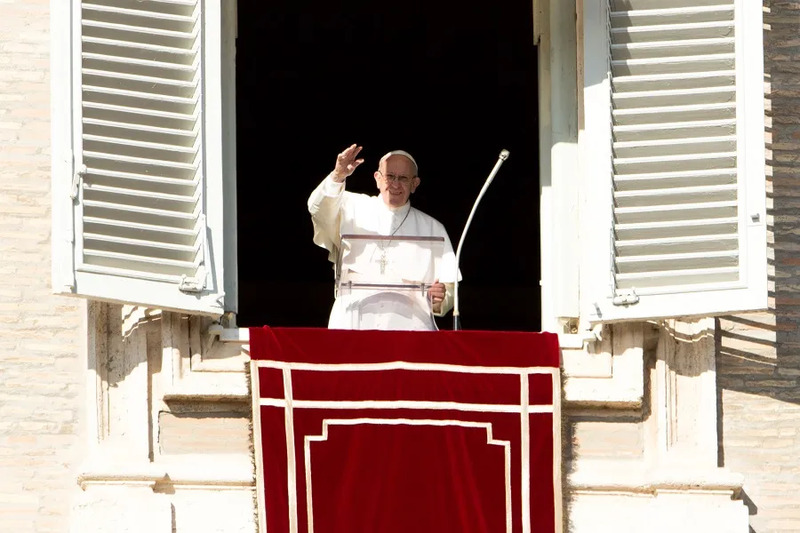 After reciting the traditional Angelus prayer, Francis noted how just yesterday he returned from a six-day visit to Burma – also called Myanmar – and Bangladesh, and voiced his gratitude for being able to meet the people in both countries, especially the small Catholic populations of each. The Pope said he was “edified” by their witness, and the many faces “tried by life,” but who were still “noble and smiling,” made a big impression. He also voiced concern and prayer for Honduras, praying that the country would be able to “peacefully overcome” a recent escalation of political unrest and violent protests surrounding the country’s elections after a key candidate was accused of voter fraud. The first session of the synod of bishops on young people, the faith, and vocational discernment was held Thursday, with bishops from around the world making brief interventions. Intergenerational relationships, social media, sport, and pastoral care that is able to answer the challenges of the youth are the main topics of the first session of the Synod, according to the Instrumentum Laboris. 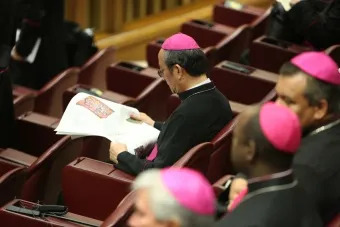 During the first session of the Synod, the Synod Fathers discussed the introduction of the Instrumentum Laboris; precisely, the intergenerational relations, the digital continents, and pastoral care that can respond to these challenges. “Many topics included in specific points of the Synod Instrumentum Laboris have been raised. Among those, the most frequently discussed issue was listening to the questions of the young. This listening begins with real questions, not artificial ones,” said Archbishop Stanisław Gadecki of Poznań, president of the Polish episcopate. The Fathers also spoke about young immigrants. 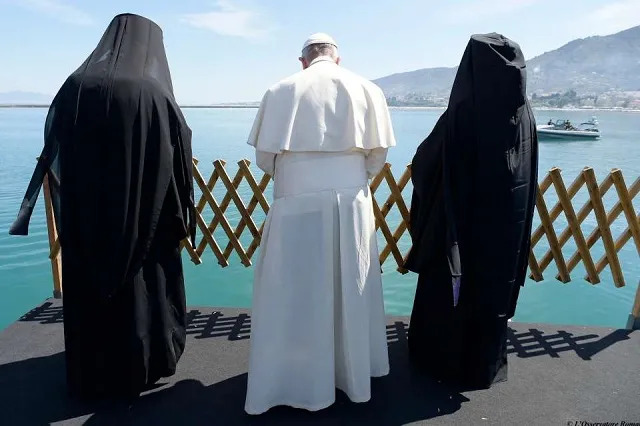 “These young people who emigrate, impoverish their country of origin, and enrich the country to which they come, often with their faith in God as their only support. For us Bishops, the question arises: Do we know the young people who leave our dioceses and do we know those who come to our dioceses?” Archbishop Gadecki observed. “We gladly accepted the fact that the deliberations also referred to the values of the World Youth Day, to the wealth that they bring with them. Another topic was the need to build formation centers for young people that function 24 hours a day, with ecumenical and interreligious spaces, in search of God,” said Archbishop Gadecki said. Questions concerning the young people’s sexuality, determinant during adolescence, were also discussed. “Here, the Church has a beautiful mission to fulfill, because it can proclaim the Gospel of love,” said Archbishop Grzegorz Ryś of Lodz. Archbishop Ryś pointed out that the most frequently repeated word in the Synod is the word “listen”. At the same time, issues important for young people, such as studies, work, and sexuality were addressed. These are topics that we can start with when going to meet young people because these are their matters. During the Synod, the subject of the social media also emerged, both as a great opportunity and a great threat, as a reality in which young people are living. We should not only talk about it but take specific actions, said Bishop Marek Solarczyk, Auxiliary Bishop of Warszawa-Praga. The first of the Synod Fathers from Poland who spoke was Bishop Marian Florczyk, Auxiliary Bishop of Kielce. “Many bishops referred to John Paul II. They recalled him as the originator of the World Youth Days and drew inspiration from his speeches … For us Poles, this was very nice,” he said. An important topic discussed by the bishops was that of the presence of the young in the sports sector. Contemporary society is sportive. The Instrumentum Laboris calls attention to the Church’s presence in the sports sector. “We can proudly say that the Polish Bishops’ Conference is the only one in the world that has a delegate for the pastoral care of athletes. So, whereas the Church in the West has withdrawn from the lives of athletes, the Church in Poland is committed to them,” said Bishop Florczyk, delegate of the Polish Bishops’ Conference for the Sport. The Synod on the youth, the faith, the discernment of vocation is taking place in Rome Oct. 3-28.